In this companion volume to the well-known Aristotle Dictionary, Morris Stockhammer offers a comprehensive and alphabetically organized glossary of the basic writings of Plato. For many years, the editor scanned through the dialogues of Plato in an effort to find and collect those pithy thoughts that represent the essence of Platonism. 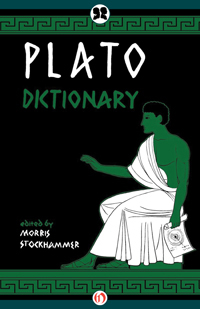 The perfect dictionary for philosophers and students of ancient philosophy, the Plato Dictionary includes explanations, definitions, and explications of Plato’s vocabulary often using his own words to complete the description. Each entry also includes a citation from Plato’s indispensible oeuvre. Morris Stockhammer was a lexicographer and historian known for his subject dictionaries on famous philosophers including Immanuel Kant, Plato, Karl Marx, and Thomas Aquinas. He also published on European economics and history.